Without the apparatus for making sense of the currency market, any trade represents a pure gamble. There are two basic methods of analysis, which can be used independently of each other for creating a winning trading strategy. 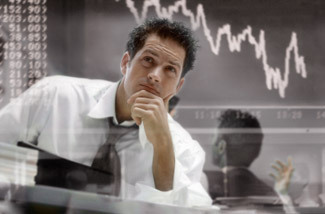 Fundamental analysis is the application of the macroeconomic theory to markets, with the aim of predicting future trends. So what fundamental forces drive currency markets? Balance of Trade: This is the difference between the value of the exports and imports of a given country; i.e., this is a description of the incoming and outgoing foreign currency flows. The balance is positive when exports exceed imports, and if imports exceed exports, there will be a deficit in the balance of trade. When a country has a deficit in its trade balance, it begins looking for foreign currency and is forced to sell a considerable amount of its own currency in order to be able to pay for the import of goods and services. Therefore, a deficit in the balance of trade typically leads to the devaluation of the local currency against other currencies. Currencies associated with long-term trade surpluses will tend to strengthen against those associated with persistent deficits. Trends are also important. An improving balance of trade should cause a local currency to appreciate relative to another one, which is associated with a deteriorating or stable balance of trade. Relative Inflation Rates: If country A is suffering a higher rate of price inflation than country B, then A’s currency ought to weaken relative to B’s in order to restore “purchasing power parity”. Interest Rates: International capital flows seek returns that are realised at a lower inflation rate, thus creating additional demand for high real interest-rate currencies and pushing up their rates of exchange. Expectations and Speculation: Markets are being moved by expectations. Sentiments of market participants on the future rate of inflation, economic growth rate, and changes in employment and unemployment are sufficient factors that can affect the exchange rate long before the actual trend becomes apparent. It should be understood that these economic forces act in coordination. However, it is an extremely difficult task to establish where the sum of interacting economic forces will take the market. The solution, some argue, lies in technical analysis. Technical analysis (TA) is a theoretical concept that explores the dynamics, rate, and amplitude of the change in price of a financial asset based on the graphical representation of price movements. Unlike predictive methods of analysis, TA has the sole purpose to generate specific trading ideas with clearly defined price levels for identifying, managing, and finalising the trade. The following is a brief introduction to the main tools used in technical analysis, which are used to identify current market trends, which in its turn is a prerequisite for a successful trade. Line Chart: A graphic depiction of the dynamics in the price of a financial instrument over time. The line is constructed by connecting up closing prices for a given time interval. Bar Chart: Depiction of price movement represented by vertical bars at pre-set time intervals, e.g. every 30 minutes. Each bar has four “hooks” symbolising the opening, closing, high and low (OHLC) exchange rates for that time interval. Candlestick Chart: Variant of the bar chart, except that it depicts OHLC prices as “candlesticks” with a wick at each end. When the opening rate is higher than the closing rate, the candlestick is “bearish”. Where the closing rate exceeds the opening rate, the candlestick is “bullish”. A clearly defined pattern in the price of a financial asset to move in a certain direction, within a specific time frame. This market phase is characterised by an imbalance between the forces of supply and demand, with a predominance of buyers being the reason for an uptrend, and a predominance of vendors - a downtrend. Dynamics in a trend phase suggests a greater price amplitude for a short period of time. Price fluctuations that fail to register a higher than the previous maximum price, respectively, a lower minimum, form a trading range. The forces of supply and demand are balanced within price consolidation, which graphically represents a small price amplitude for an extended period of time. The range phase follows the trend phase, thus completing the full market cycle. Support and Resistance Levels: The extremes at which the price movement changes direction define the market levels of resistance and support. In a trending phase, the lows are becoming significant in an uptrend, and highs in a downtrend, marking a predominance of the moving sentiment and ranges in this phase are the limits of consolidation. Important price levels that are above the current market price are called resistances; and those below it: support it. Support: Price areas where interest in buying dominates over interest in selling represent support levels. Static support zones have the highest levels of significance, whose value does not change over time; for example, the lows in the uptrend and the lower limits of the range phase. A line drawn through the lows of an uptrend defines a dynamic support whose value increases continuously with the development of the trend. Resistance: Resistance levels indicate a reluctance of the majority of market participants to buy above a certain price level. Static market resistance is present at each extreme preceding a downward movement, with the highest level of significance being highs in the downtrend and the upper limit during a consolidation. 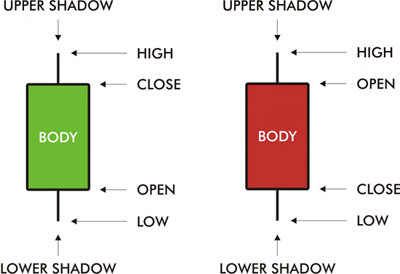 The line connecting the highs in a downward is a dynamic resistance, whose value gradually decreases with the development of the trend. Moving Averages (MA): Moving averages smooth out the highs and lows of the exchange rate cycle over a rolling period, and indicate the presence of a trend. Simple (SMA): When past and current data is considered to be of equal importance and is weighed identically. Weighted (WMA): When current data is considered to be more important than past data and is weighed more heavily. The weighting factor takes the form of a “smoothing constant” that increases exponentially over time. If prices lie below two or more moving averages, this is taken as a bearish signal, and vice versa. A “%K” line that measures the difference between the most recent closing price and the deepest low as a percentage of the difference between the highest peak and the deepest low measured over a given period (e.g. 14 days). A “%D” line that tracks three periods (e.g. 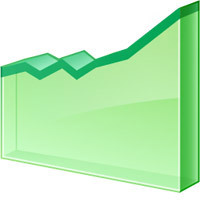 days) of the %K moving average of. A rise in %K over %D is interpreted as a buy signal, and vice versa. A currency is considered to be overbought when the oscillator touches a value of 80. An oscillator below 20 is considered to indicate an oversold currency.